To mark the 90th anniversary of the International Dragon the Yacht Club de Cannes, in association with the International Dragon Association, invites all Dragon sailors to join in this celebration regatta. Join us in celebrating 90 years of the Dragon! There will be a full programme of racing with a party atmosphere and it will all take place as part of Regates Royales – the final event in the Panerai Classic Yachts Challenge. There will also be a full social programme with Gala dinner. Pre-registration will open online on 24 September 2018 and numbers are limited to 120 – so you’ll need to act quickly to ensure you are part of what will be an historic event. The first 120 pre-registration forms along with E200 fee received by the Yacht Club de Cannes after 24 September 2018 will guarantee priority entry forms for each Dragon owner. Further details of accommodation options, social programme and more will be announced soon. Visit www.intdragon.net for more details. 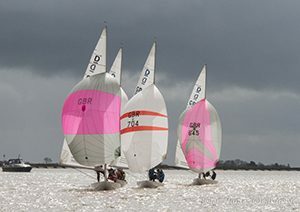 This year’s East Coast Championship returns to the Royal Corinthian Yacht Club in Burnham-on-Crouch on Saturday 15th to Sunday 16th September 2018. Burnham-on-Crouch is a town in the Maldon District of Essex in the East of England. It lies on the north bank of the River Crouch and is a famous centre for yachting, hosting an annual Regatta since 1893. Past East Coast Champions include Burnham locals Mark Wade, Ian Gray and Rob Campbell and current Edinburgh Cup winner and BDA Chairman, Julia Bailey. 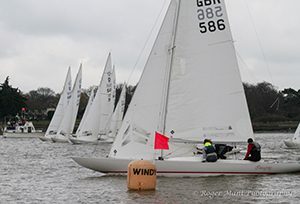 Starting with its early adoption of the concept of one-design sailing in the late 19th Century, through to providing crew for the J-Class Endeavour in the 1934 America’s Cup and selecting the British Team for the Olympics in 1936, RCYC has constantly pursued excellence in every aspect of sailing. In its home on the East Coast, the Club can be credited with instigating the start of Burnham Week in 1893, creating the Burnham Icicle and the Hornet Easter Egg, as well as the inception in 1961 of the invitation only Champion of Champions event, the Endeavour Trophy.